The College Governing Body of St. Stephen’s College ratified the recommendations of the College Finance Committee which suggested a 40%- 57% increase in the fees, with effect from the current academic session, 2009-10. This move by the governing body has met with stiff resistance from several students, who consider the steep hike highly unwarranted. 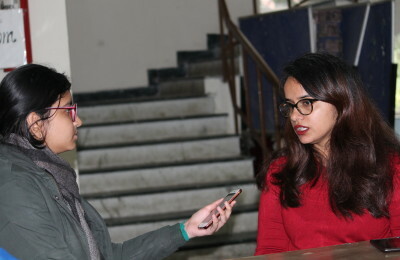 Several representatives of students have had meetings with the bursar and the principal in order to clarify the reasons behind the fee hike and request them to reduce the amount incremented. The Bursar, Mr. Raghunathan, has therefore circulated a written explanation among the students giving reasons as to why the fee hike is justified. The circular says that the increase in the fee is required simply because over the years costs have gone up while the fee has remained unchanged. The circular cites the example of the increasing price of books for the library, thus necessitating an increase in the library fee. Costs of scientific equipment too have seen a rise, resulting in a hike in the ‘Science Facility fee’. The ‘Student Aid Fund’ to help needy students has also been augmented while a ‘Development fund’ has been set up to help in the acquisition of more lecture and tutorial rooms and better laboratory facilities. The ‘Residence Fund’ of the college which is used to pay for salaries of the garden staff, security staff and mess staff and which is not covered by the UGC grant is also suffering a deficit which needs to be addressed. Moreover, the college has to pay the arrears of salary according to the VI th Pay Commission’s recommendations.